What Bank Holiday would be complete without a minor complication or two? August was fraught with mechanical failure so We're glad it's over! Never seen anything like it and can't begin to understand how it happened as there was no impact or pothole etc than can be blamed. 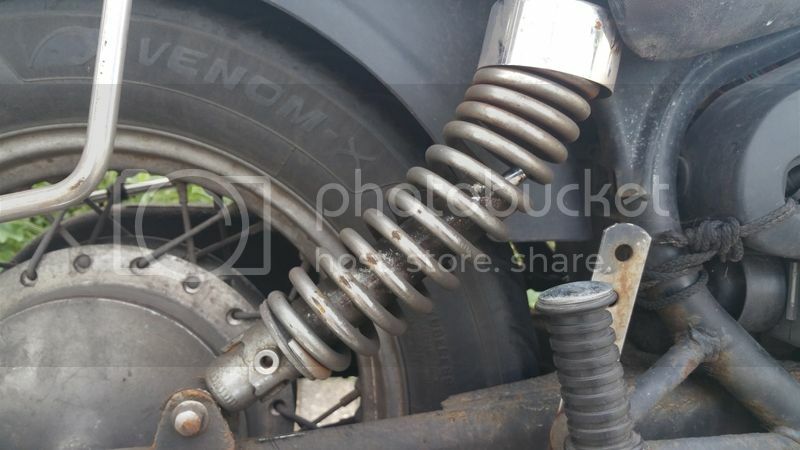 Luckily I had a set of Hagon shocks that I took off my last bike before I sold it, pure luck that they actually fit this bike and don't look out of place, so at least this mishap was sorted quickly and for zero cost. Saturday Carly and the kids went out swimming with Nanny whilst me and Grandad fitted a new back door. 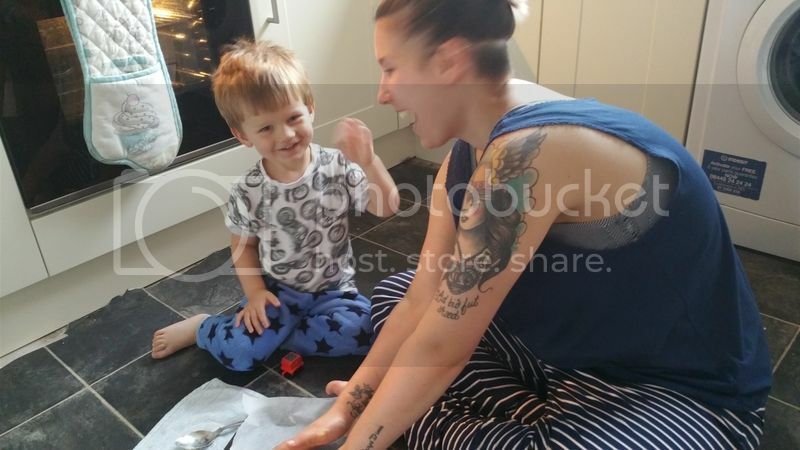 We're doing the kitchen up at the moment, and as with everything on a budget it is taking longer than what it should and it seems that everywhere we look there is something that needs to be finished. Our old door was a draughty timber one that was falling apart, unfit for purpose and certainly not secure. The replacement we picked up from a local reclaim yard and is a UPVC double glazed, multi point locking door that we picked up for less than £50 even though it is in almost perfect condition! not only is it an investment in the security of the house, but hopefully since it is double glazed and insulated it should help keep the bills down through the winter too.